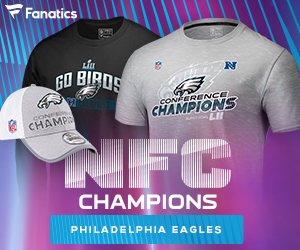 Its been almost two weeks since the 2017 Philadelphia Eagles magic carpet ride ended with, given the injuries, an improbable 41-33 victory in Super Bowl LII against the defending champion New England Patriots. Reflecting back on the run made me think of other Eagles teams of the past and the Quarterbacks who led them. Now that Nick Foles place in history as a Super Bowl MVP is forever etched in the record books I thought “where does he fit in Eagles history at the QB position?”. 5. Norm Van Brocklin – “The Dutchman” as he was known played three seasons in Philly, the last being the 1960 NFL Championship season after which he retired from Football and was Head Coach of the Vikings and later the Falcons. Van Brocklin is still in the top ten (9) in Eagles history in passing yards and went 19-16-1 in his three years. He ran the offense on the field, like having a coach out there. He once famously waived off Head Coach Buck Shaw when he tried to insert rookie Timmy Brown into a game. Many of his teammates, including Hall Of Famer Tommy McDonald credit Van Brocklin for the Eagles last title until Super Bowl LII. Van Brocklin is the only QB on this list that I did not see play. 4. Randall Cunningham. Drafted out of UNLV in 1985 as a QB/Punter, Randall became the starter in 1986 after starting the year coming into games for the far less mobile Ron Jaworski on 3rd and long under first year Head Coach Buddy Ryan. Despite Cunningham’s immense talent, he never got the Eagles past the Divisional Round of the playoffs losing three straight years in the playoffs from 1988-1990, the most famous being the 1988 “Fog Bowl” where Cunningham put up over 400 yards of passing. Cunningham’s lone playoff win as an Eagle came in New Orleans in 1992, two years after Ryan was dismissed and one season from missing the entire season to a knee injury. Cunningham went 63-43-1 as a starter and is third in Eagles history in both wins and passing yards. Some will say he will always be first in highlight plays and excitement. Many still believe that if Cunningham had been coached by an offensive minded Head Coach like McNabb with Andy Reid he would’ve achieved greater success. 3. Nick Foles. Drafted in 2012 by the Eagles, Foles started the final six games of Andy Reid’s final season as Head Coach and went 1-5. His QB coach that season was current Eagles Head Coach Doug Pederson. Foles 2013 season was his best. Again coming off the bench for an injured Michael Vick, Foles threw for 27 touchdowns and just 2 interceptions, and a single season record passing rating of 119.2. Head Coach Chip Kelly traded Foles before the 2015 season to the Rams. After struggling as the starter, Foles was released before training camp in 2016 and signed with the Chiefs, reuniting him with Andy Reid. He returned to the Eagles, this time backing up starter Carson Wentz and was pressed into duty Week 14 against the Rams as Wentz went down with a season ending knee injury. Despite having the top seed in the playoffs the Foles-led Eagles were underdogs at home in both the division game and NFC Championship Game. Foles connected on his last 15 passes in the title game, going 26 of 33 for 352 yards and 3 touchdowns and a 141 passer rating. After leading the Eagles to their first Super Bowl Championship Foles was named MVP of the game. He is the first QB to have a rating of 100 or better in his first 4 playoff starts. His playoff passer rating of 113.2 is the best in Eagles history. Counting the 2017 playoffs Foles is 20-10 overall as the Eagles starting QB and ranks 10th in team history in passing yards. 2. Ron Jaworski. Nicknamed “The Polish Rifle” for his strong arm, Jaworski came to the Eagles in 1977 and was their starter until 1986. He easily could’ve been third on this list, but his overall body of work was difficult to ignore. Jaworski is 2nd in Eagles history in games, passing yards and touchdowns. Only he, McNabb and Cunningham threw for over 20,000 yards as an Eagle, and Jaworski led the Eagles out of the shadows and into their first Super Bowl after defeating Dallas 24-7 in the 1980 NFC Championship Game. 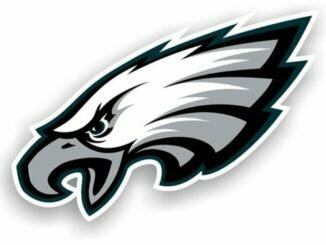 Unfortunately the Eagles fell to the Raiders in Super Bowl XV. The Eagles would be upset in the first round of the 1981 playoffs. Vermeil left after the 1982 season, and Jaworski left after the 1986 season. He went 69-67-1 as an Eagle. 1. Donovan McNabb. Drafted in 1999 amidst of a chorus of boos, McNabb re-wrote the record books for Eagles Quarterbacks. He is first in games, touchdowns, wins and passing yards. He is the only Eagles QB to have more than 200 touchdowns and over 30,000 yards passing. His 9 playoff wins are the most by an Eagle QB. Despite his greatness, McNabb never had an elite receiver for more than a season, and lost NFC Championship Games in 2001, 2002, 2003 and 2008. He did get the Eagles to their second Super Bowl appearance following the 2004 season, but fell to the Patriots. Following a playoff loss to the Cowboys after the 2009 season, McNabb was traded to the Washington Redskins. Had the Eagles prioritized the Wide Receiver position sooner in McNabb’s tenure they may have gone to more than the one Super Bowl and might have won one, maybe more. Carson Wentz – Great 2017 season cut short, but has only 29 career starts. Certainly he will make the list very soon. Sonny Jurgensen – More famously known for his Redskins career, Sonny took over for Van Brocklin in 1961 and is 7th in Eagles history in passing yards. No playoff appearances as an Eagle and a 17-20-2 record kept him off the list. Norm Snead – Traded to the Eagles for Jurgensen, Snead is 4th on the Eagles all time list for passing yards and touchdowns. He is one of just 4 Eagles to throw for more than 100 touchdowns and unfortunately played for some awful teams as his 28-50-3 record shows.